Good evening, gang. I wanted to drop by for an update on the busy pattern taking shape over the next few weeks. It’s one where the models are giving us some serious swings. 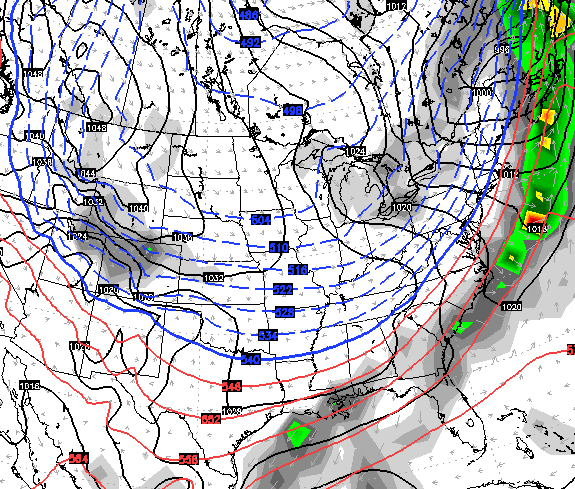 That will pull in some colder air for the middle of the week, but will then be followed by a nice bounce back in temps. That’s ahead of a cold front moving our way by late Thursday into Friday. 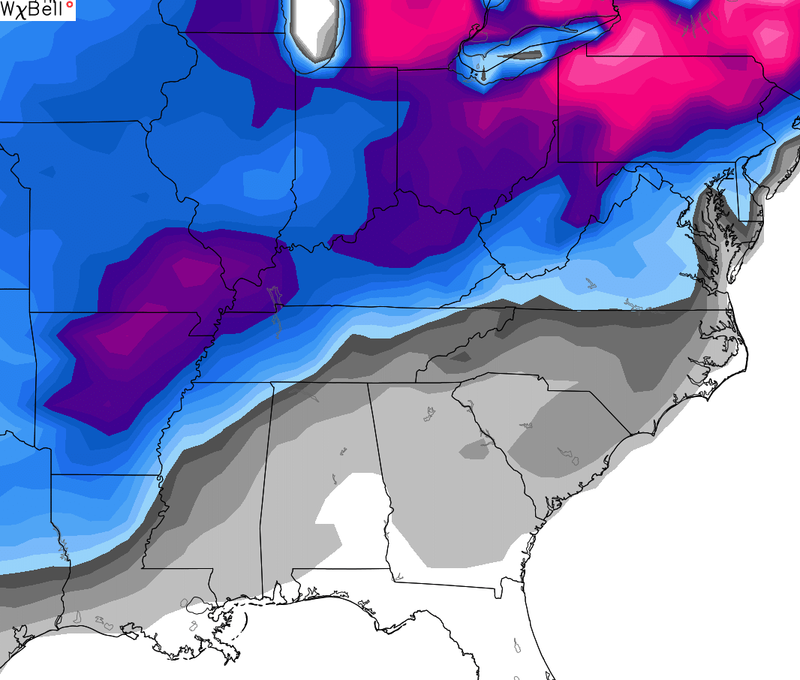 That’s a similar look to what the Canadian Model gave us earlier today, but is also a far cry from the past few runs of the European Model. With such an extreme temperature gradient setting up across the country, the big swings on the models will continue for several more days. They are having a tough time figuring out where to place the battleground for winter weather. Again, all I can tell you is that we are in the zone for potential wintry precipitation Christmas weekend into Christmas week. That’s pretty much it. Good afternoon, folks. It’s a cloudy and cold day for much of the region, as our cold December rolls on. A few flurry or two will also be spotted from time to time, but it’s the active pattern ahead getting all the attention. That’s some pretty light stuff, with temps in the upper 30s and low 40s. 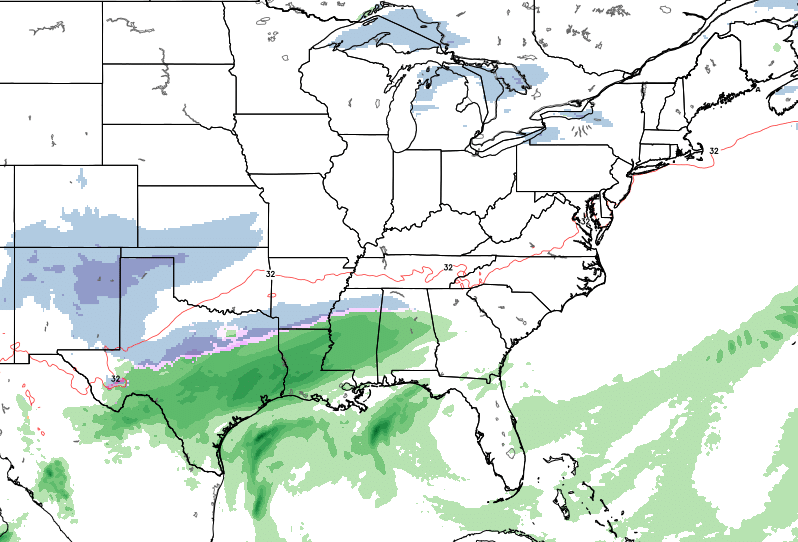 From there, we continue to see pattern setting up a battleground of wintry precipitation across our region as we head into the Christmas weekend. 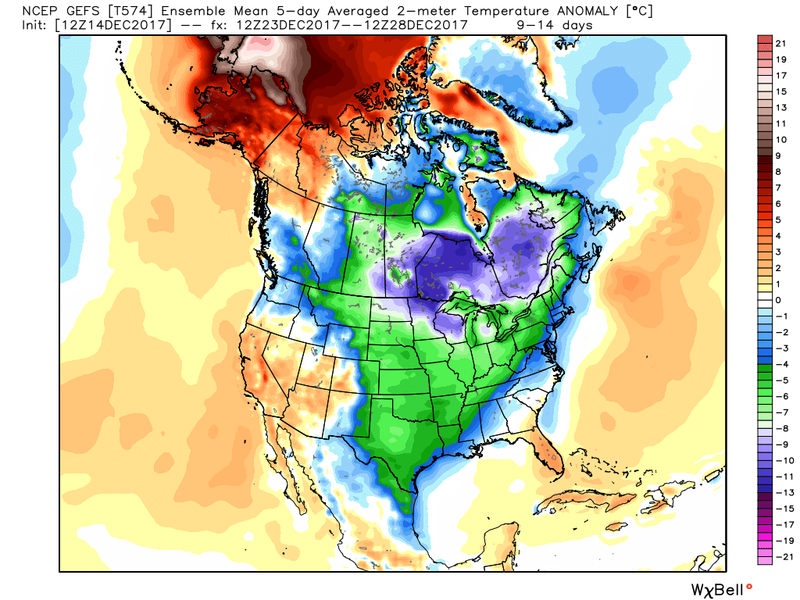 The operational models will continue to go back and forth on exactly where this sets up. 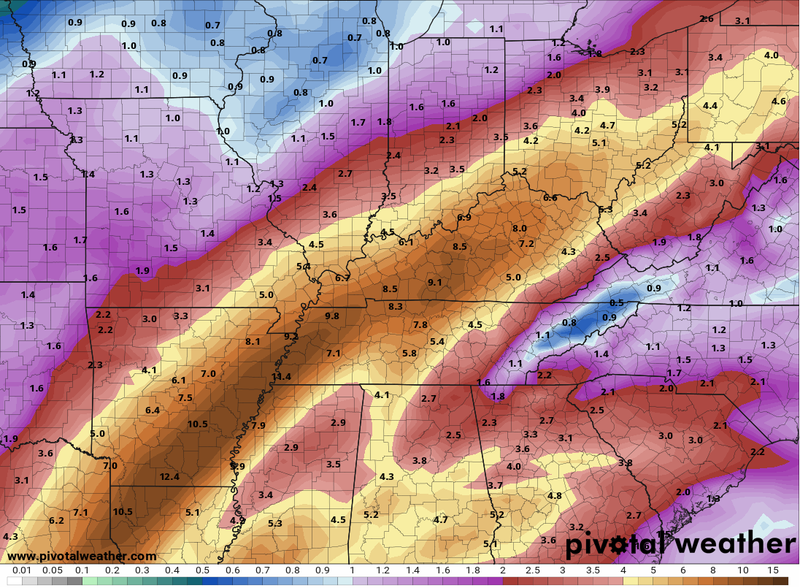 Don’t get caught up in any one model showing snow, ice or rain for our region. Just don’t. All three modes of precipitation are VERY possible around here. 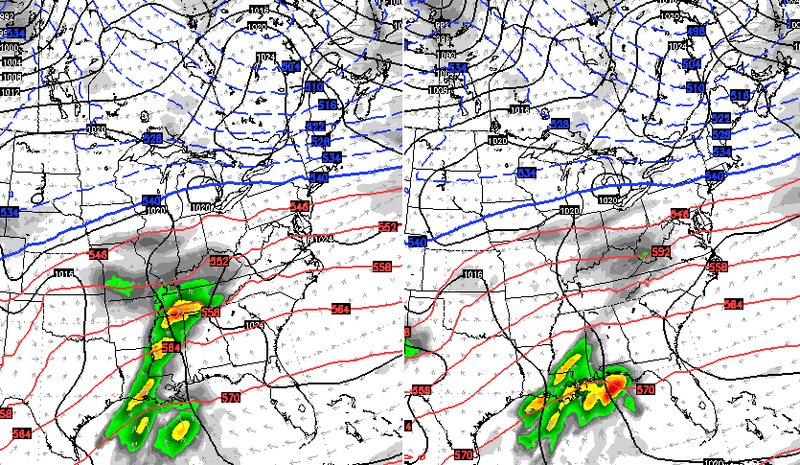 You can clearly see how both models have a similar idea, but differ on placement and the depth of the cold air. 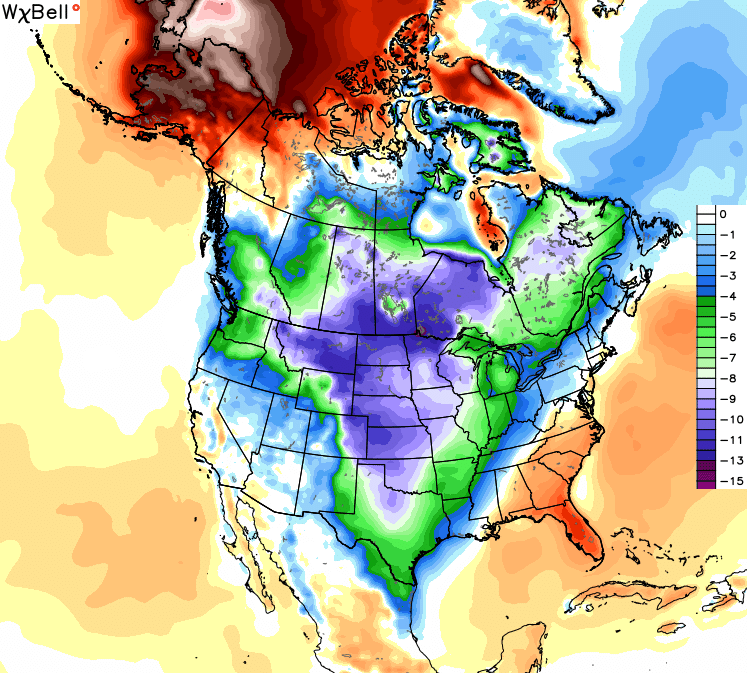 True arctic, like what is forecast to invade the country, often presses farther south and east of what the models suggest. In addition, this has not been year or fall of a strong southeast ridge. Trends, folks. I will see you guys for another update this evening. Make it a good one and take care. Good Thursday, everyone. Colder winds are back and blowing across the bluegrass state today. This is behind a front that dropped through here overnight. This is part of a pattern that has been very busy and is about to get even busier in the run up to Christmas. 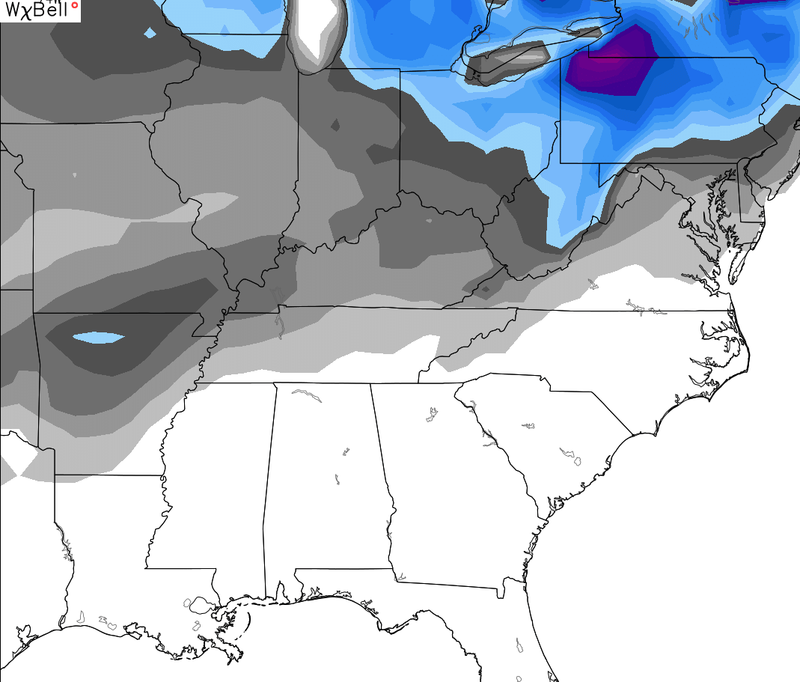 Another weak system passes across the Ohio Valley on Friday and may spit out a few flakes. Highs are back in the upper 30s for most areas, which is still several degrees below normal. Saturday looks like the best day we will see for a while. Temps in the west and south make a run at 50, with 40s for the rest of the region. Winds are gusty with some clouds increasing late in the day. That’s a cold rain, too. Temps are in the upper 30s and low 40s for most of the day. 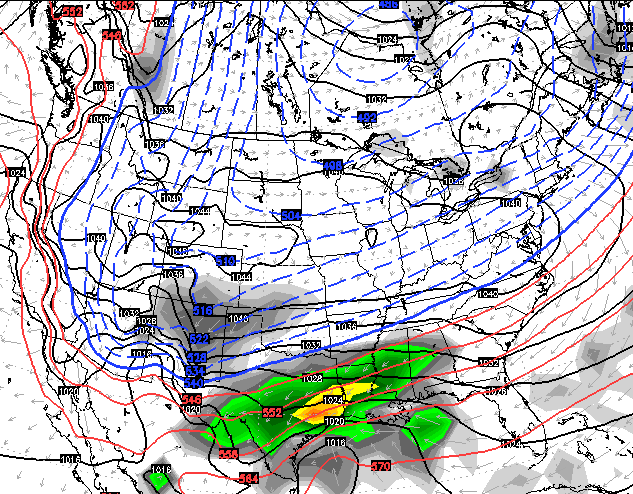 Another system will come out at some point early next week, but the focus is on what comes after that. The pattern continues to suggest one heck of a battle taking place right on top of our region from late next week into Christmas week. 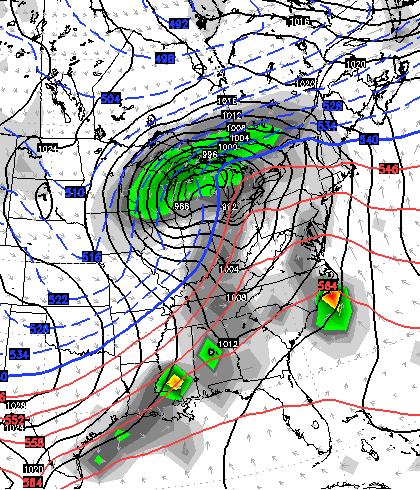 The GFS continues to show this with a slightly different orientation of the battleground. Don’t take that run seriously… I’m only showing it, like all other runs, to establish a trend. The operational runs will vary greatly from run to run. THAT is a heck of a match to the map I’ve had out for a while. 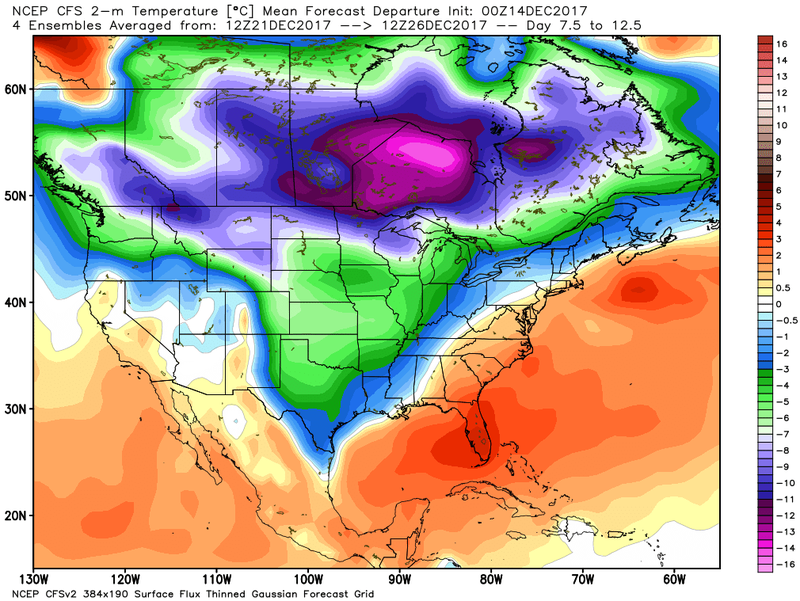 The only thing to take away from all of the above maps is this: The pattern is conducive for winter weather in our region from late next week through Christmas week. I will have additional updates later today, so check back. Make it a good one and take care.